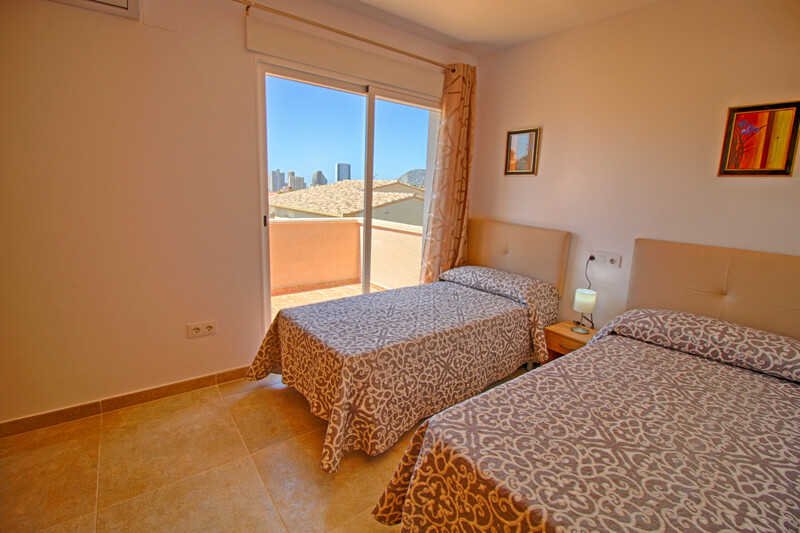 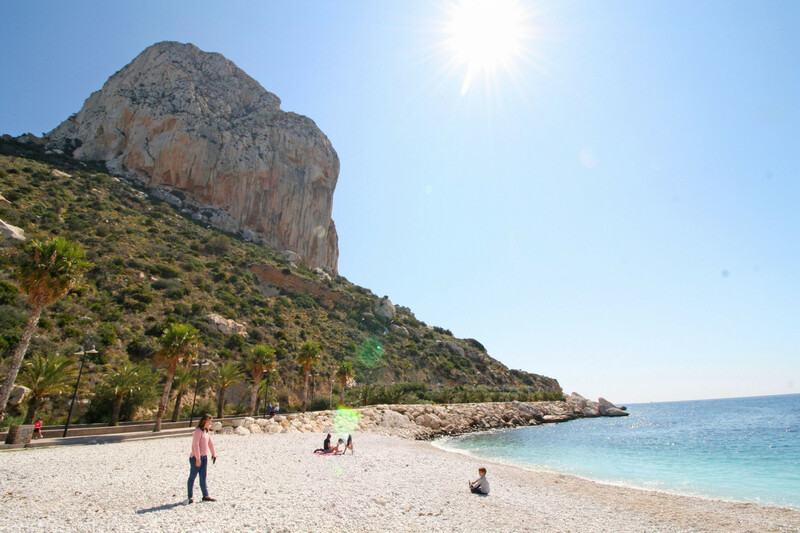 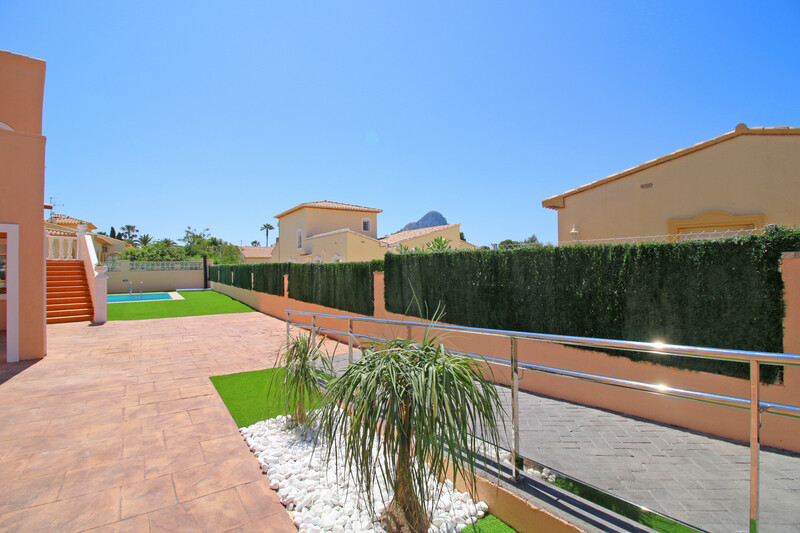 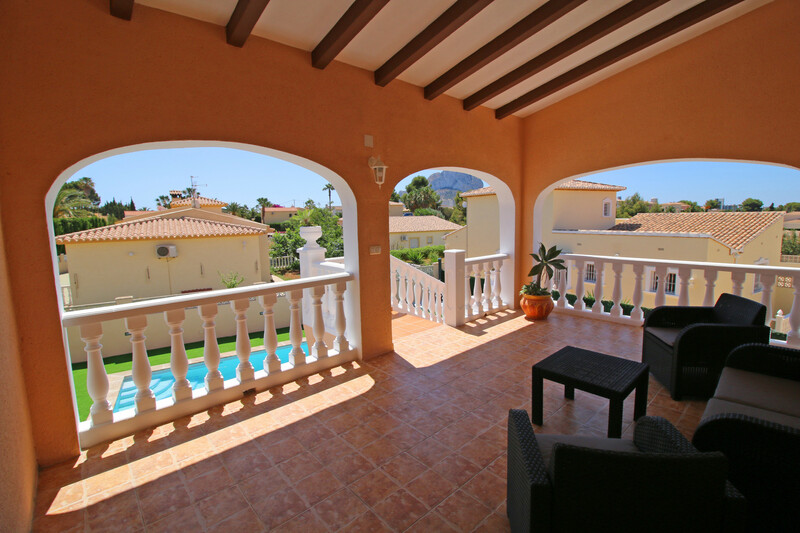 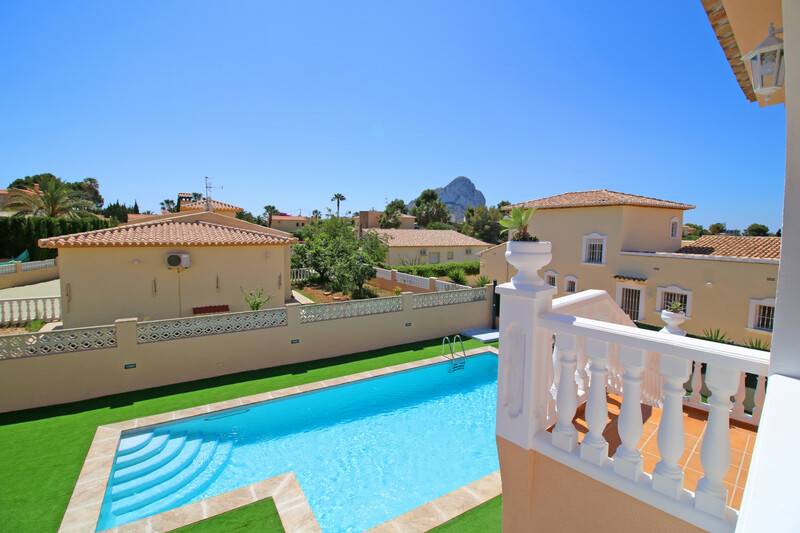 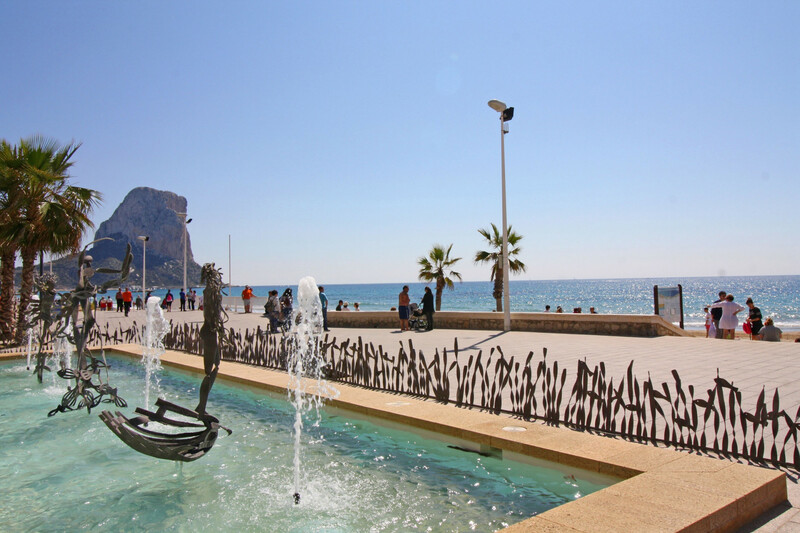 "Villa Magia" in Calpe has 8 bedrooms, 5 bathrooms (with shower) and capacity for 17 people. 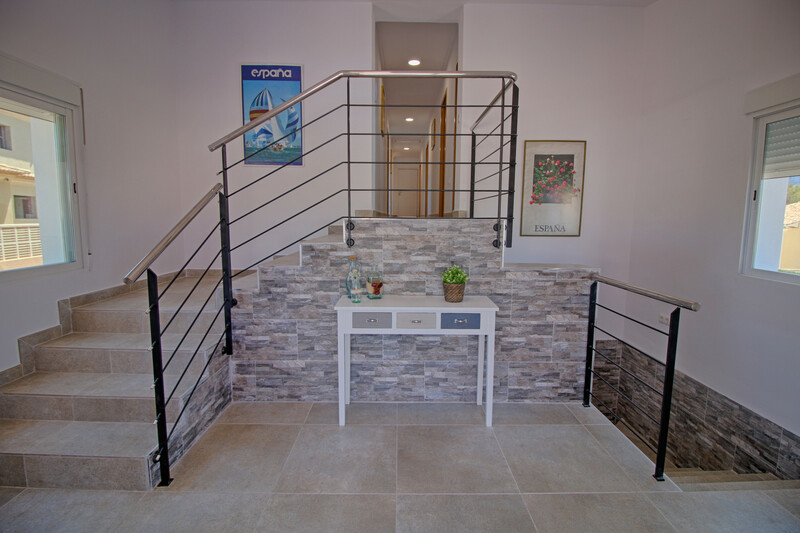 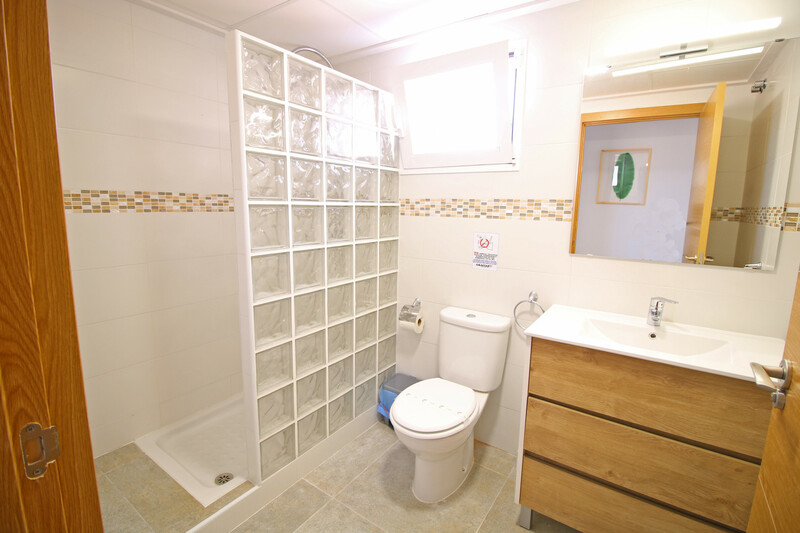 It is an accommodation of 318 m² furnished with taste and newly built, with sea views and adapted for people with reduced mobility. 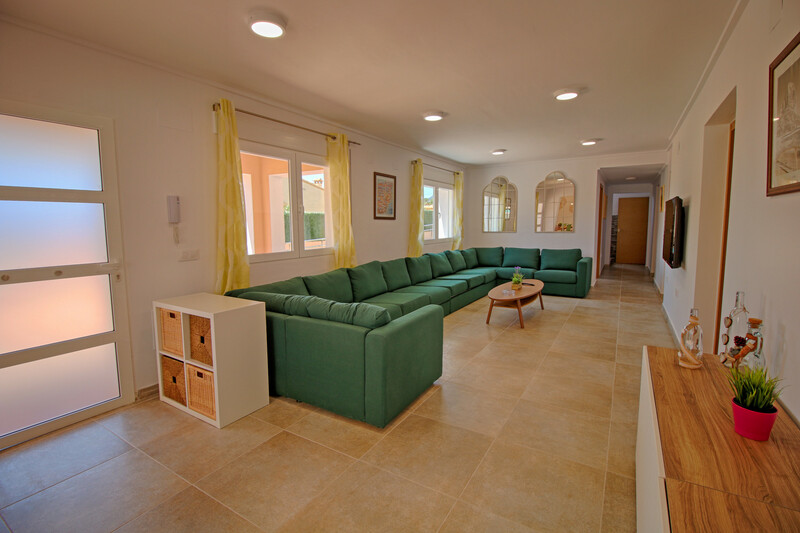 The villa is divided into two floors connected by the interior and exterior, the ground floor being at street level. 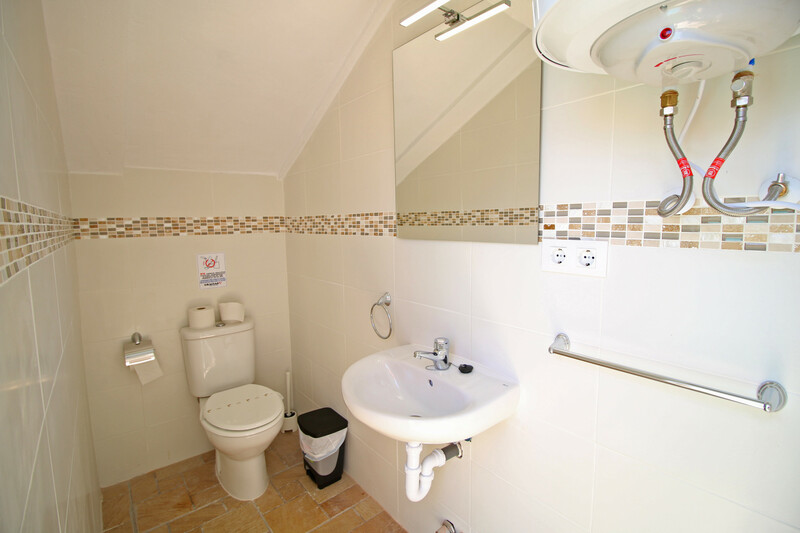 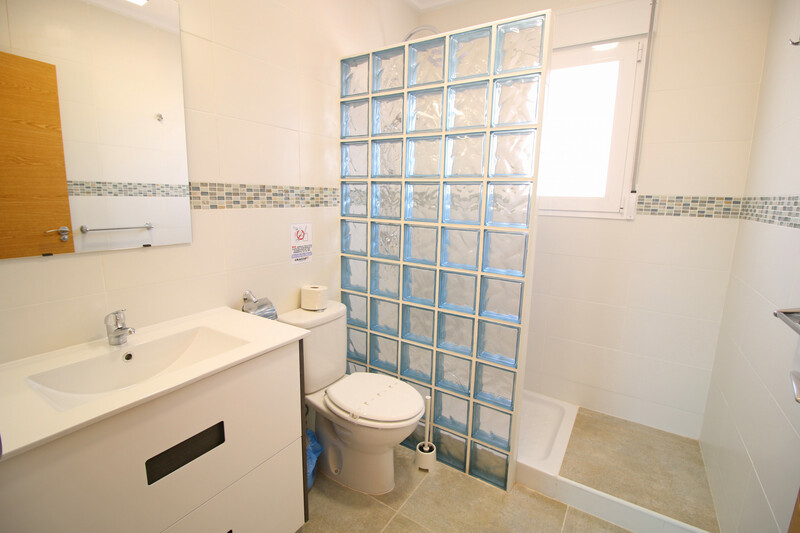 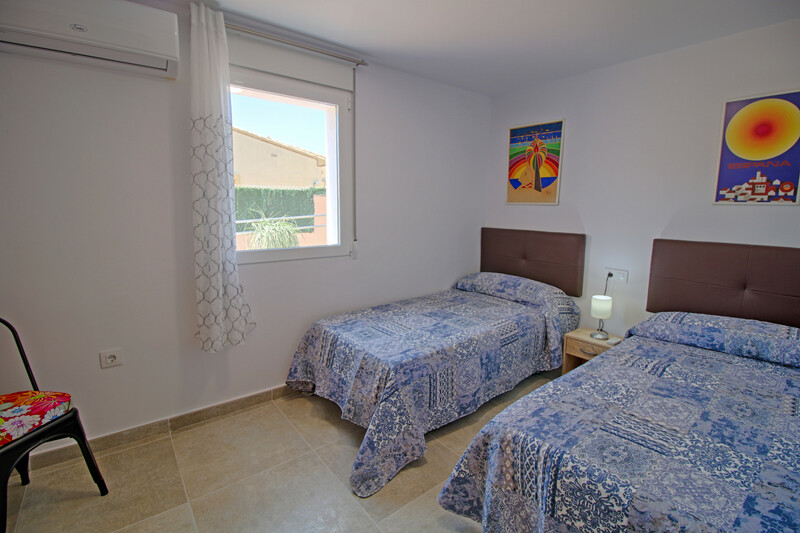 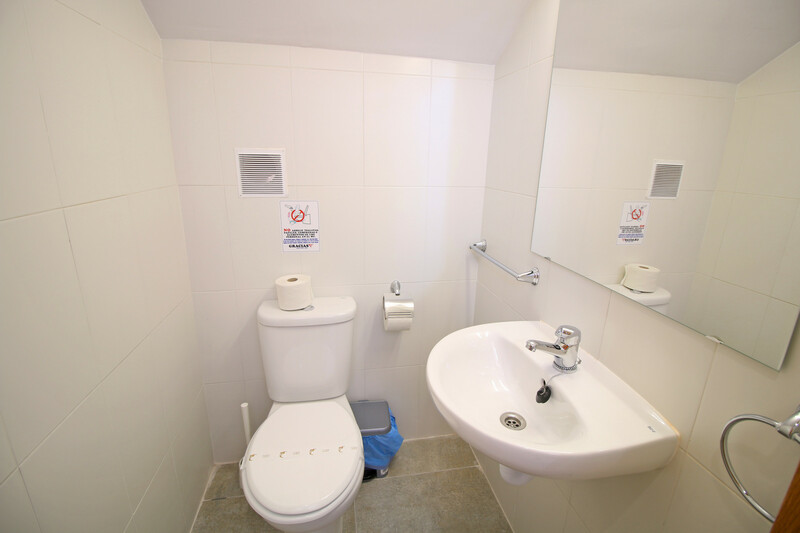 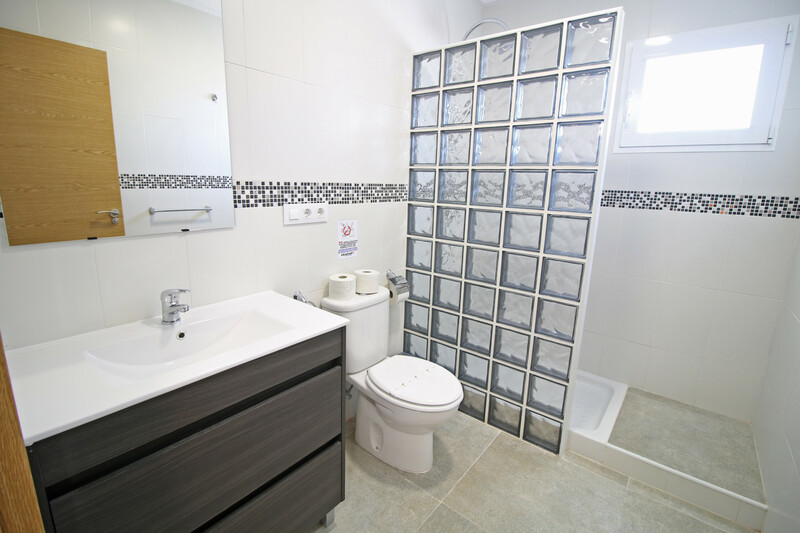 The ground floor has 2 bedrooms with double bed, one of them with private bathroom adapted for handicapped people, and 1 bedroom with two beds. 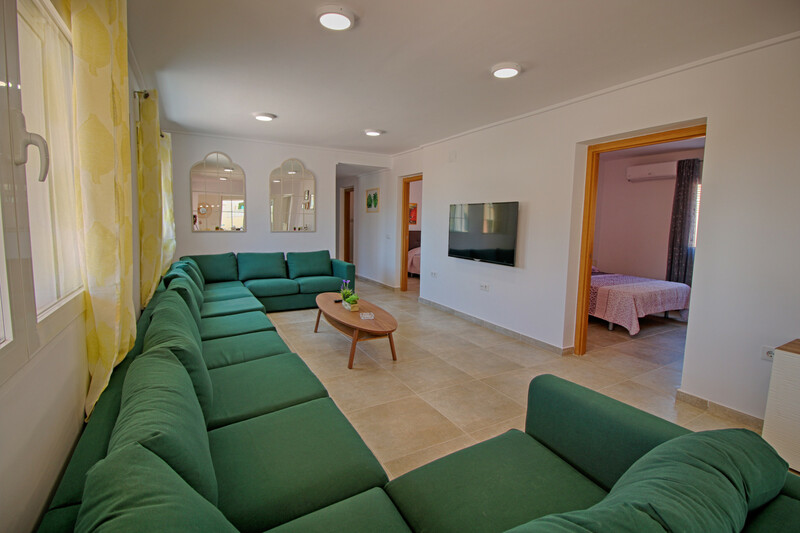 It also includes the spacious living room, kitchen, dining room, 1 complete bathroom and 2 toilets, one of them outside in the pool area. 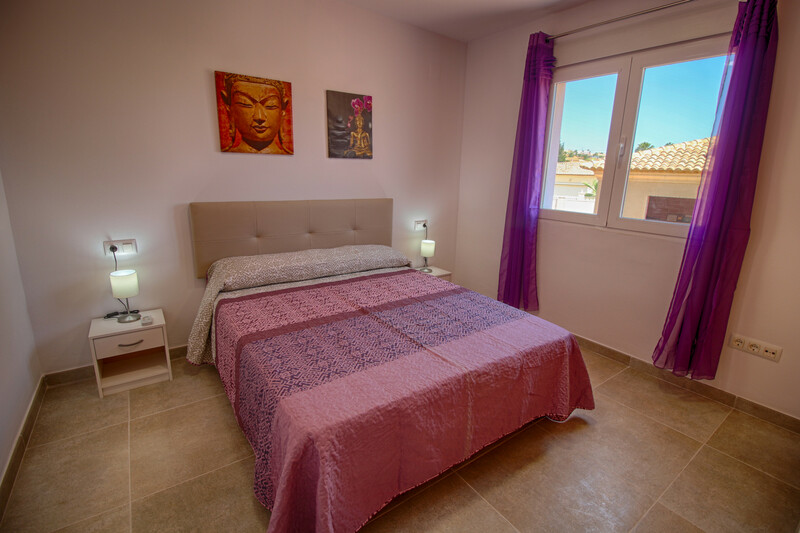 On the upper floor, you can find 5 bedrooms, 3 of them with double bed (one suite with 1 private bathroom) and 2 bedrooms with 2 single beds each. 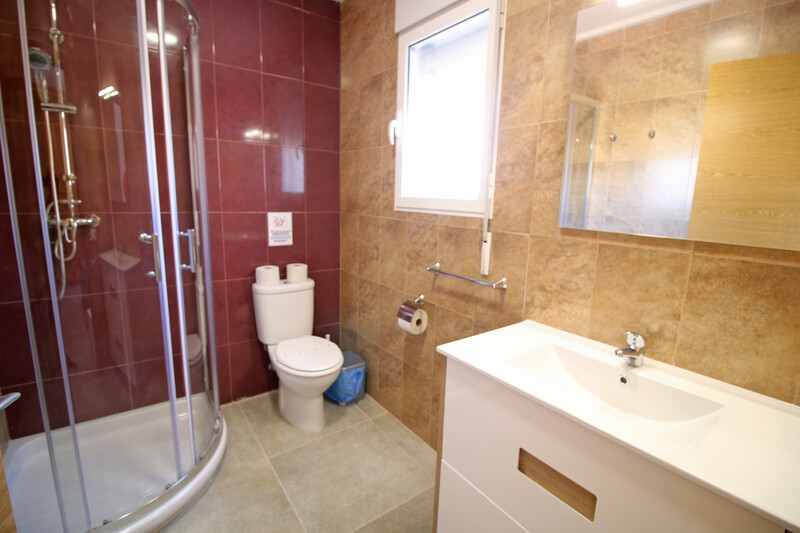 It also has other 2 bathrooms with shower, laundry room and a large terrace. 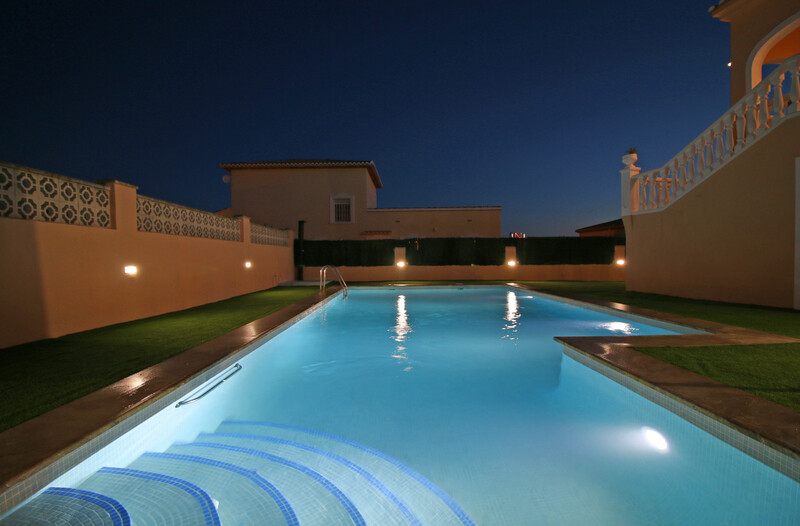 Outside, the private swimming pool and the barbecue (with outdoor dining area) allow you to enjoy the best moments with your family or friends. 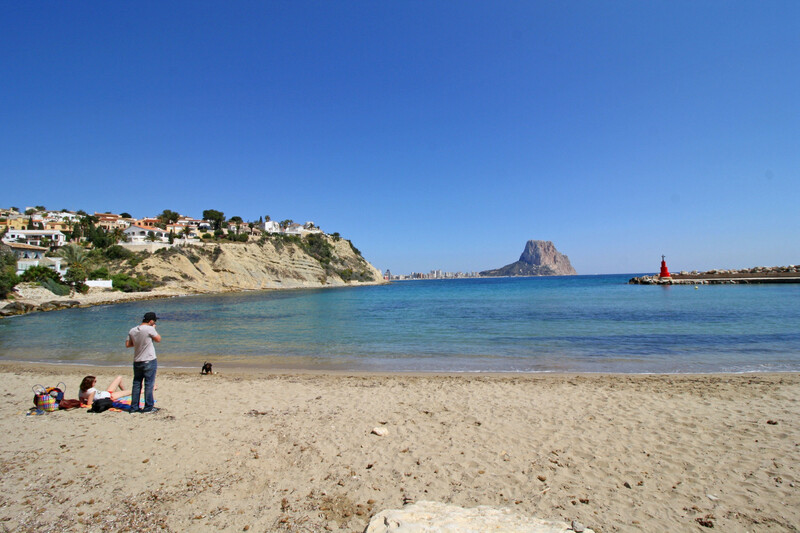 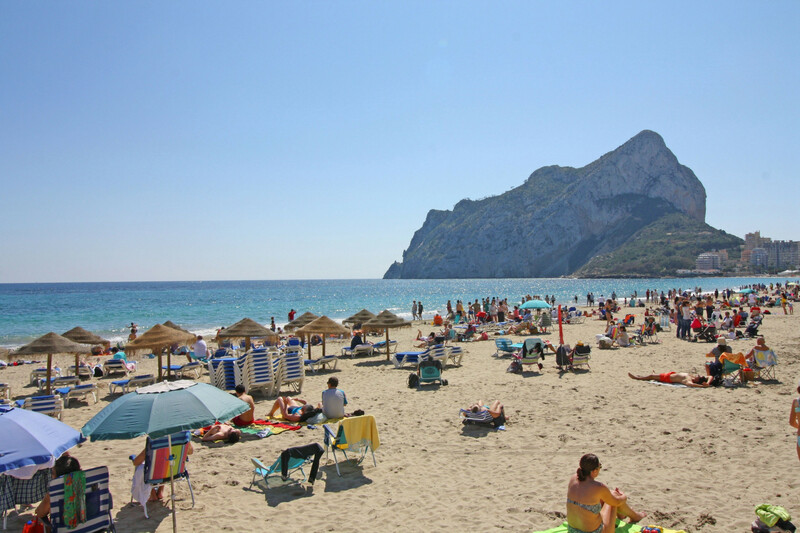 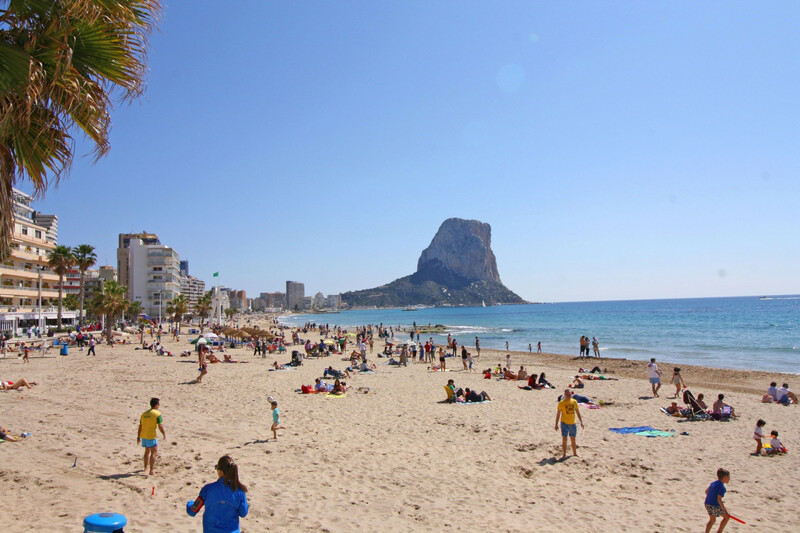 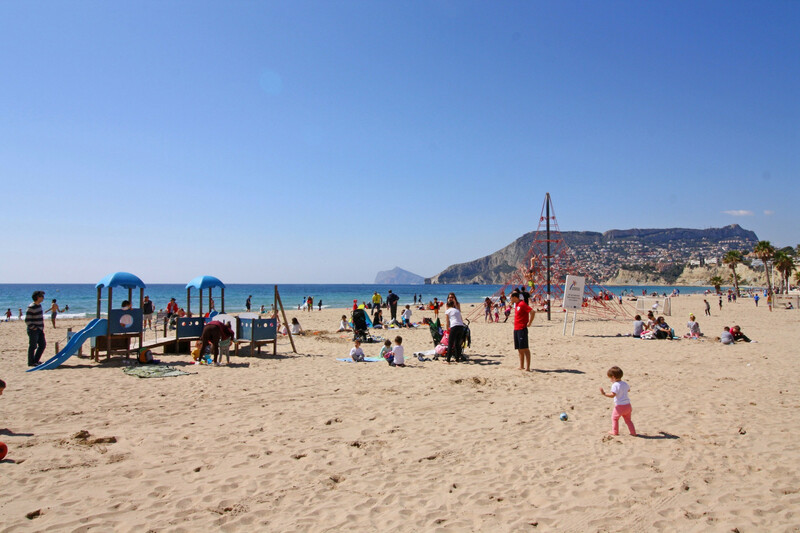 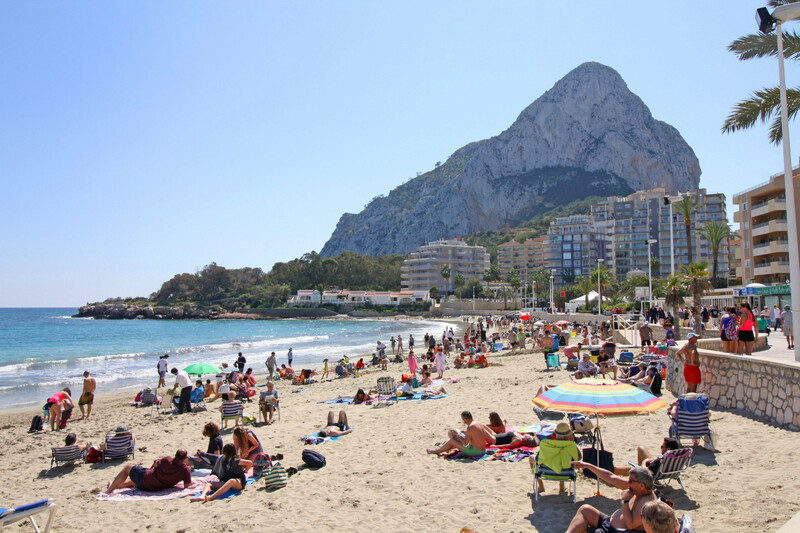 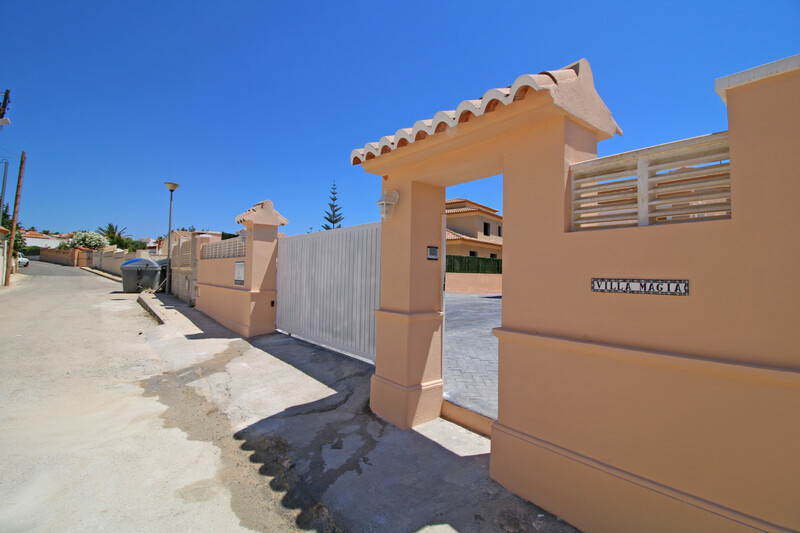 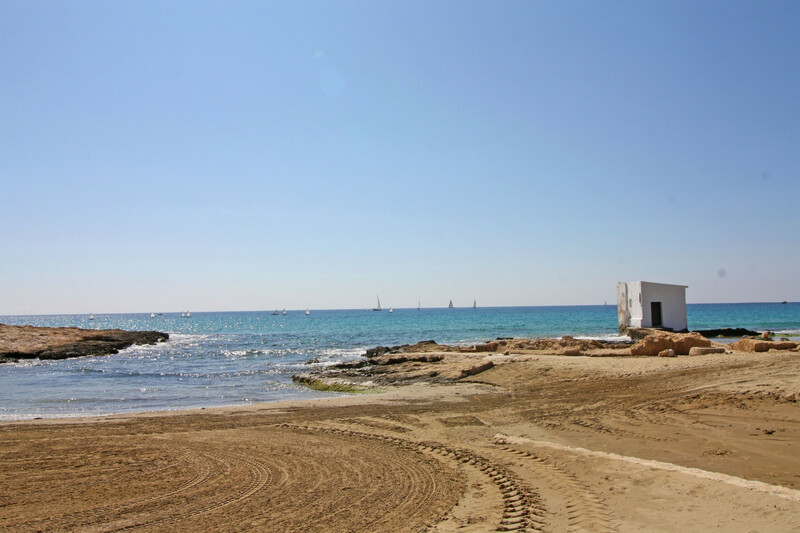 Regarding the distances, the villa is 2 km away from "Playa El Arenal", 3 km away from "Cala El Racó", 2 km away from the city "Calpe", 1 km away from the supermarket "Mercadona", 75 km away from the airport "Alicante-Elche", 25 km away from the amusement park "Terra Mítica", 25 km away from the aquatic park "Aqualandia", 2 km away from "Peñón de Ifach" and it is located. 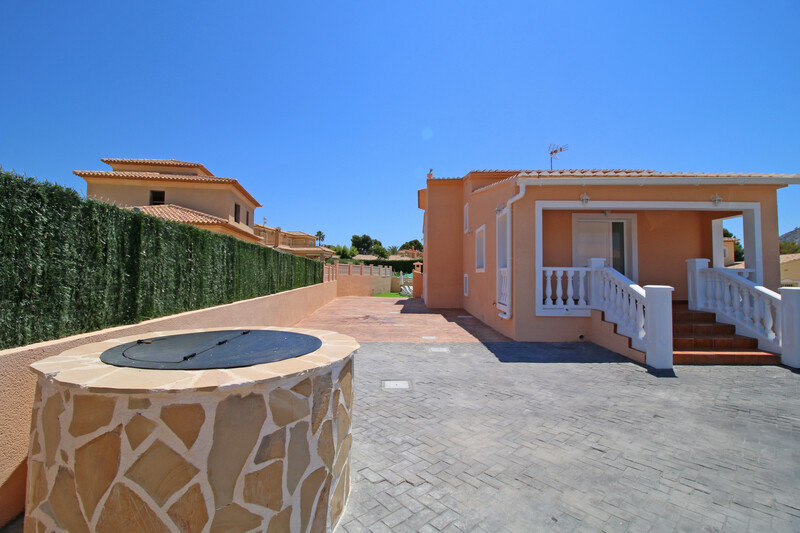 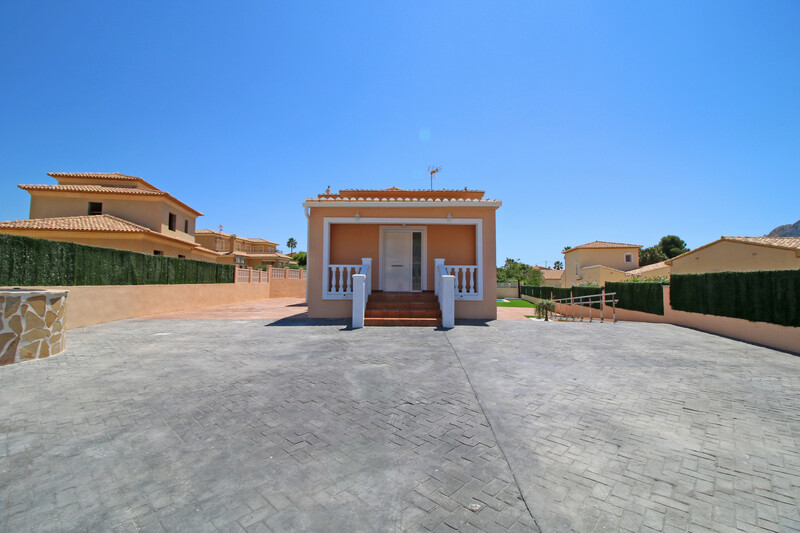 It has garden, garden furniture, fenced plot, terrace, barbecue, iron, internet access, air conditioning in all bedrooms, private swimming pool, outdoor parking on the land, Television, satellite (Languages: Spanish, English, German, French). 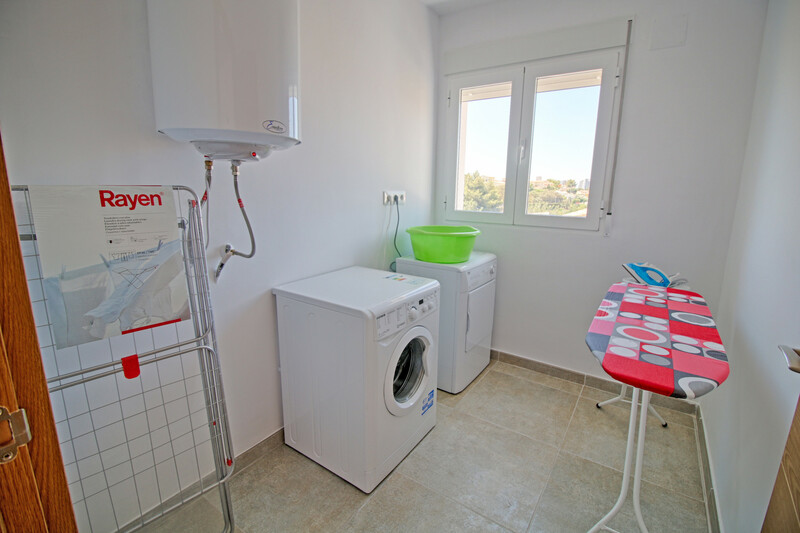 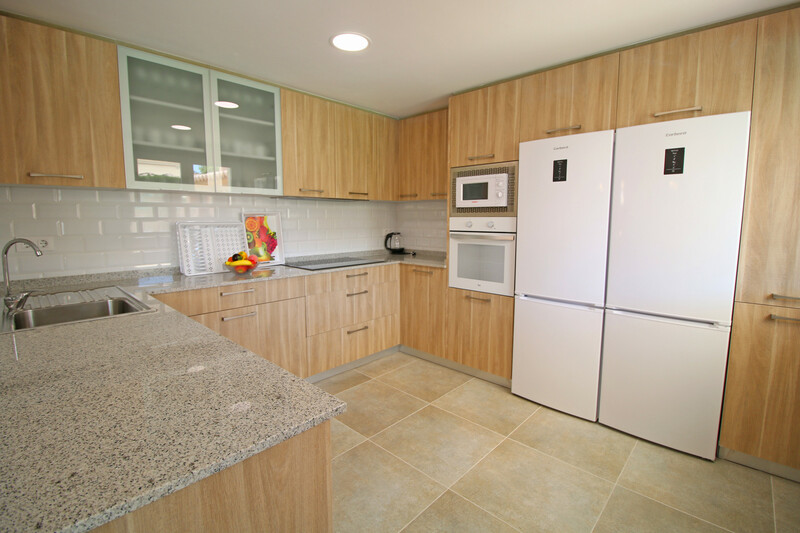 The independent kitchen is equipped with a fridge, microwave, oven, freezer, washing machine, dishwasher, crockery, utensils/kitchen, coffee maker, toaster and water kettle. 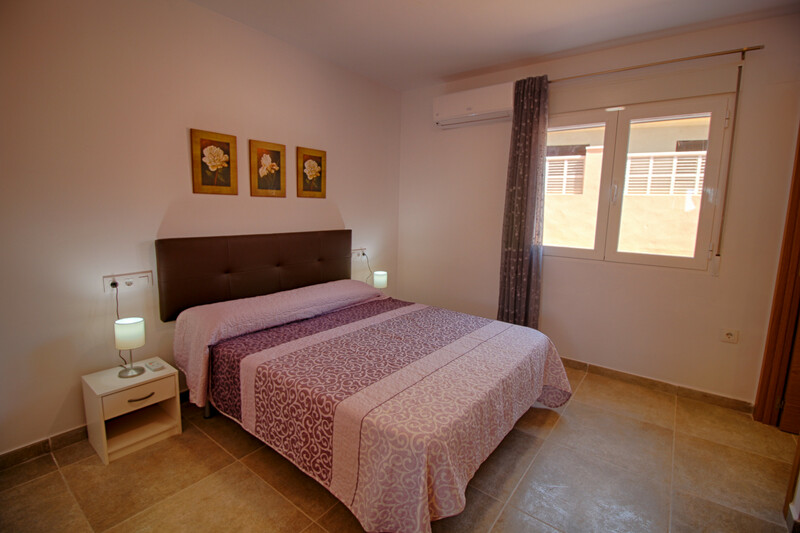 5 Double beds, 6 Single beds, 1 Extra bed. 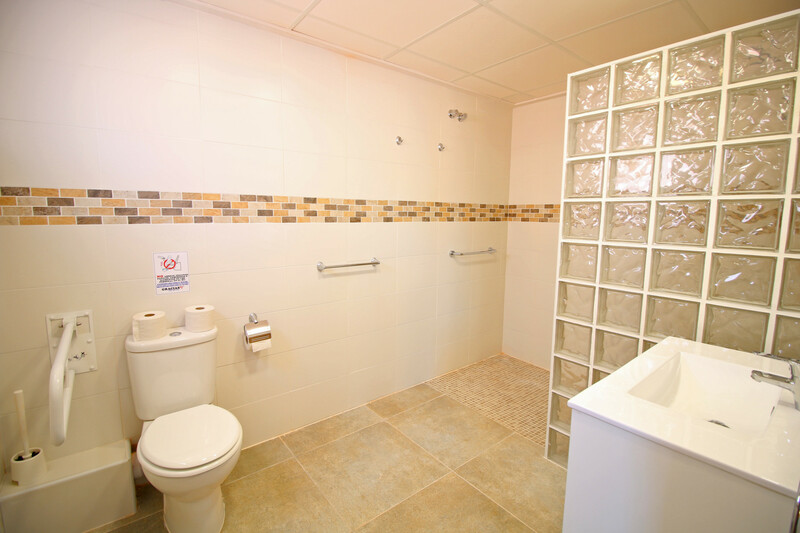 5 Bathrooms with shower, 2 Toilets. 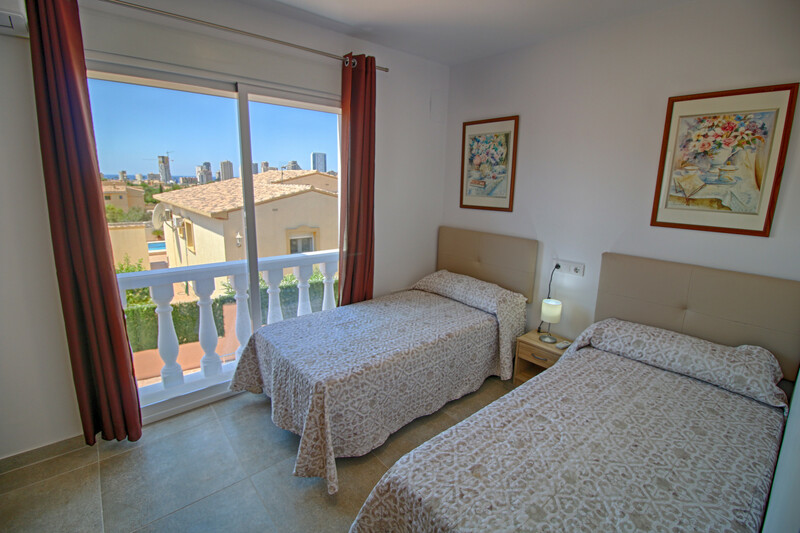 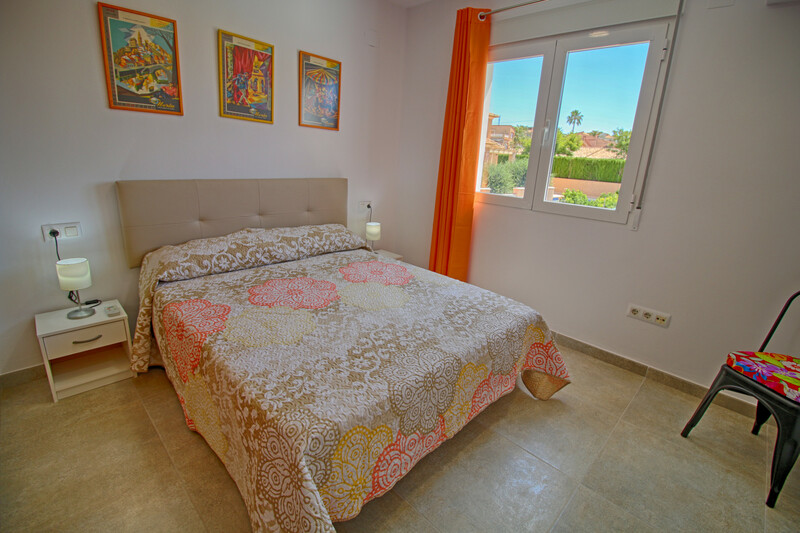 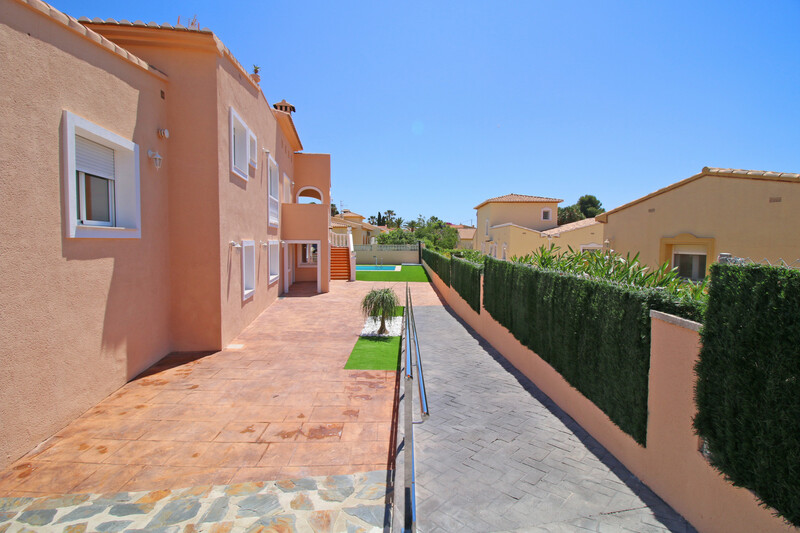 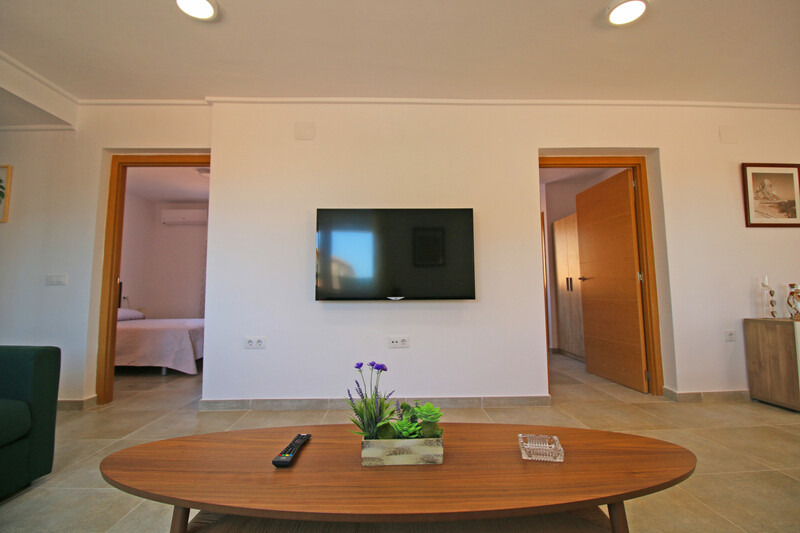 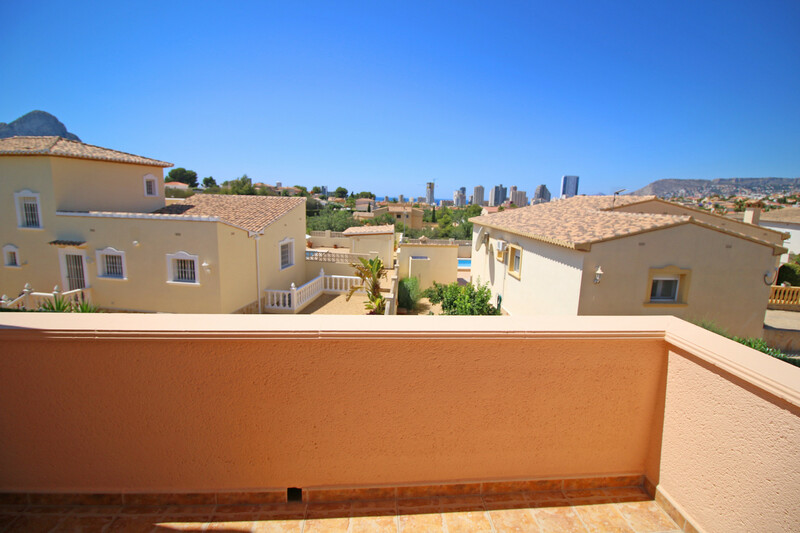 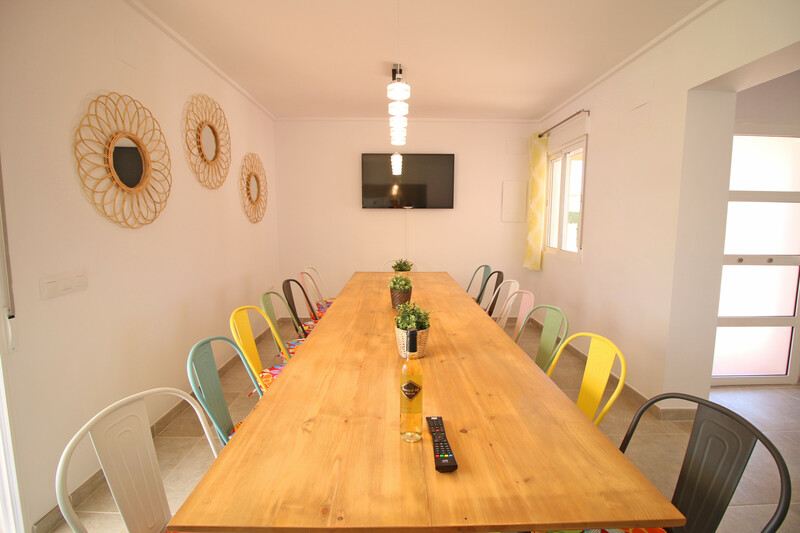 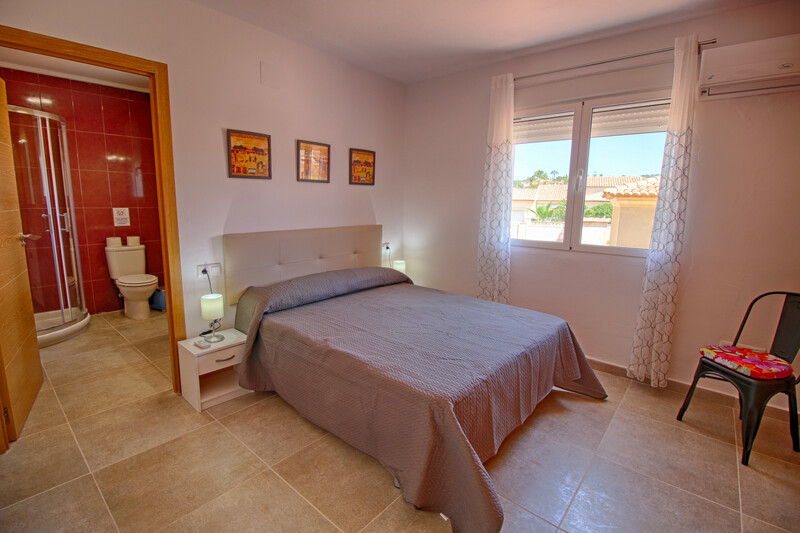 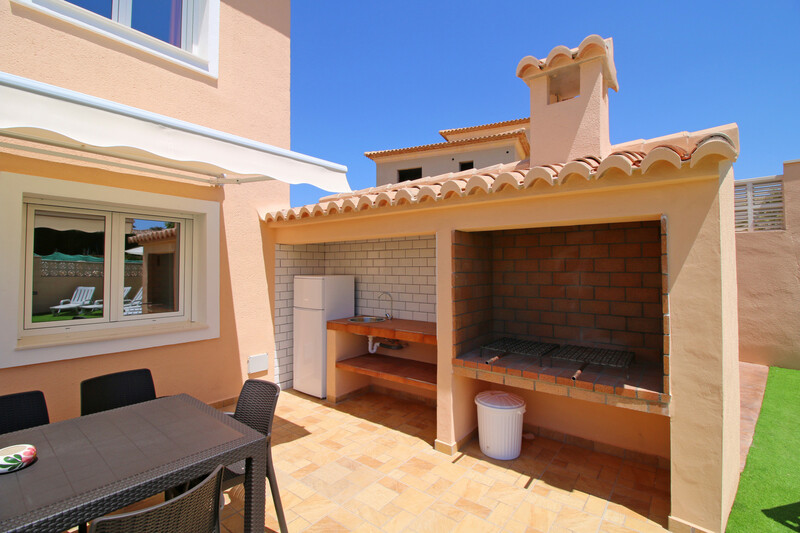 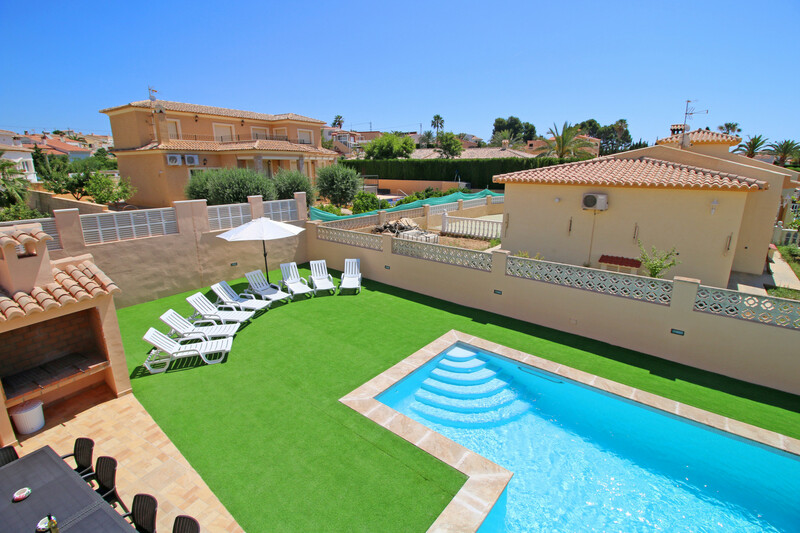 2 TVs, TV Satellite (Languages: Spanish, English, German, French), garden, garden furniture, fenced garden, 30 m² terrace, barbecue, iron, internet (Wi-Fi), balcony, 318 m² property, 900 m² plot, adapted for disabled people, pet-friendly, air conditioning in all bedrooms, private swimming pool (dimensions 10.5 x 5m, max depth 5.9 ft, min depth 3.9 ft), Open-air parking (4 places) in the same building.